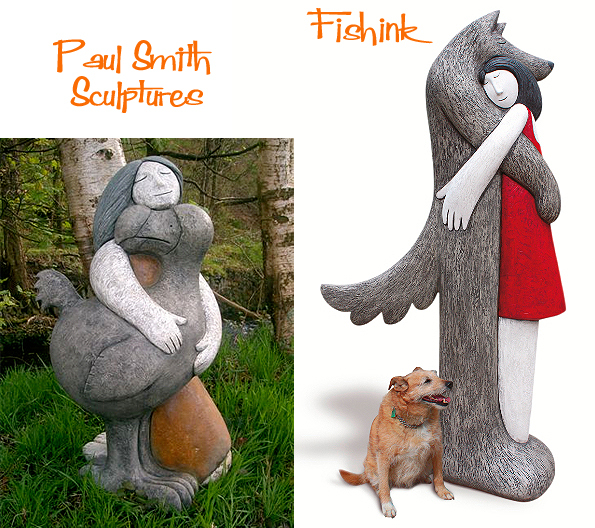 I recently came across the work of sculptor Paul Smith who’s studio is based on the edge of the Peak District National Park. 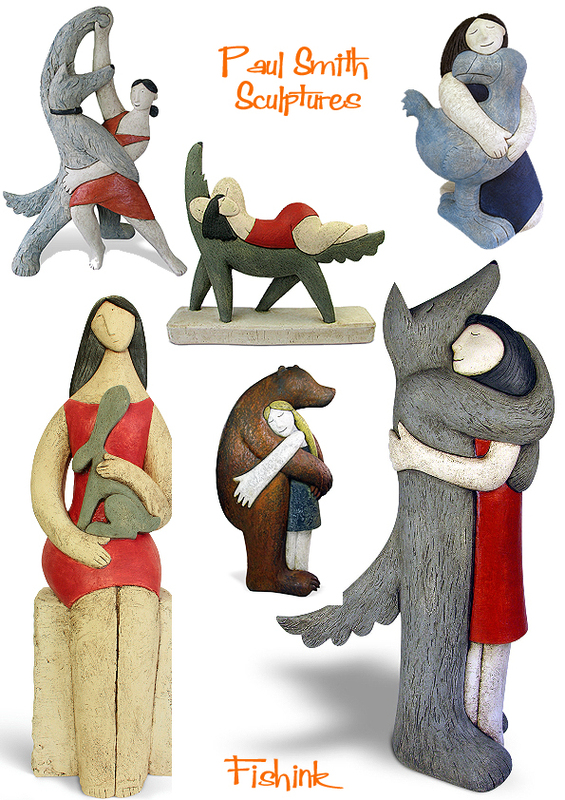 I really like the friendly relationship his figures portray in joining the worlds of the human and the animal. 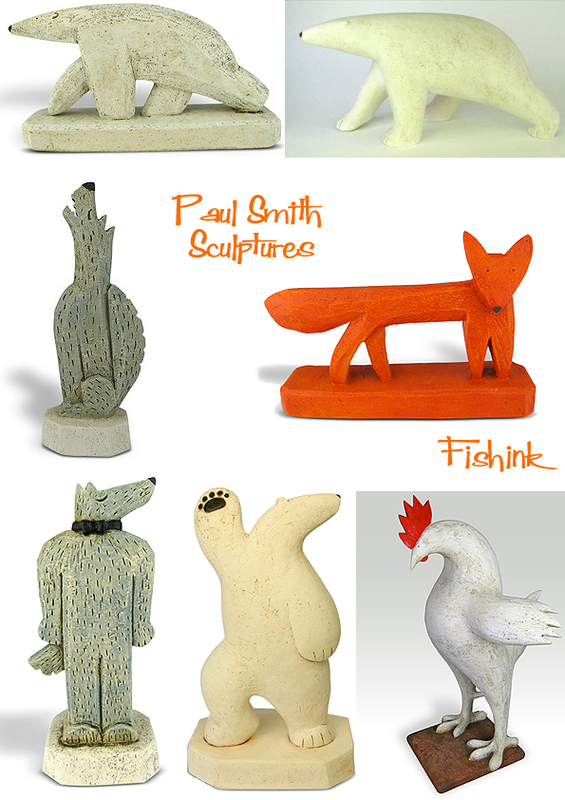 I really like Paul’s sense of strong line and slight nod to folk art sculptures too. It’s not until you see the sculptures in situ, that you really get a sense of their scale… wow. 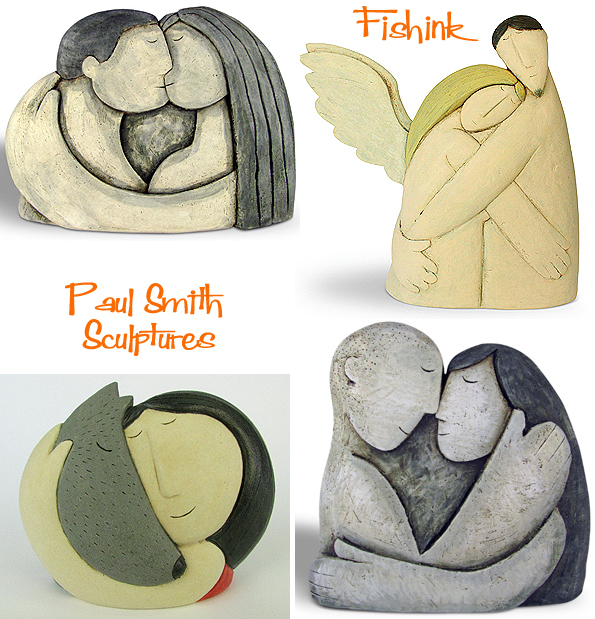 Paul will be exhibiting some work at Potfest in the Park July 25th – 27th in Cumbria, see the link for more details. 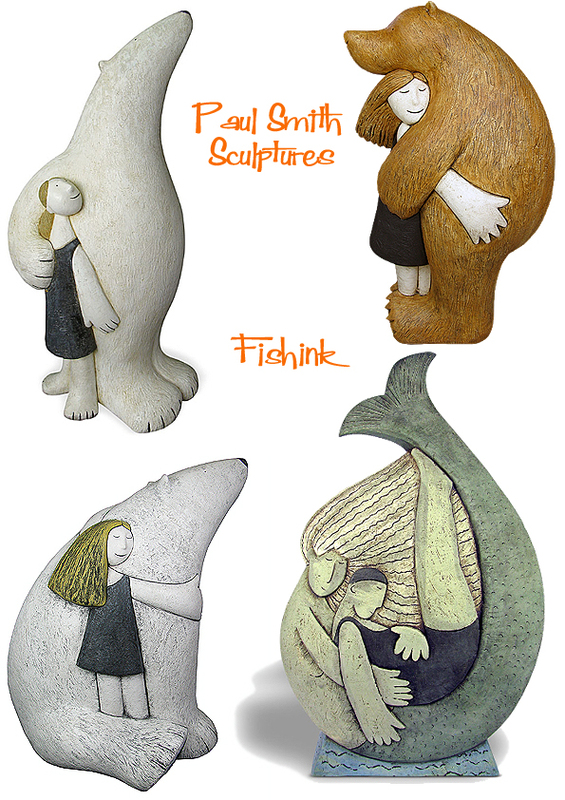 Thanks Lizzie, they remind me of Inuit carvings that i’ve seen of polar bears etc. Lovely feel to their shapes and textures. 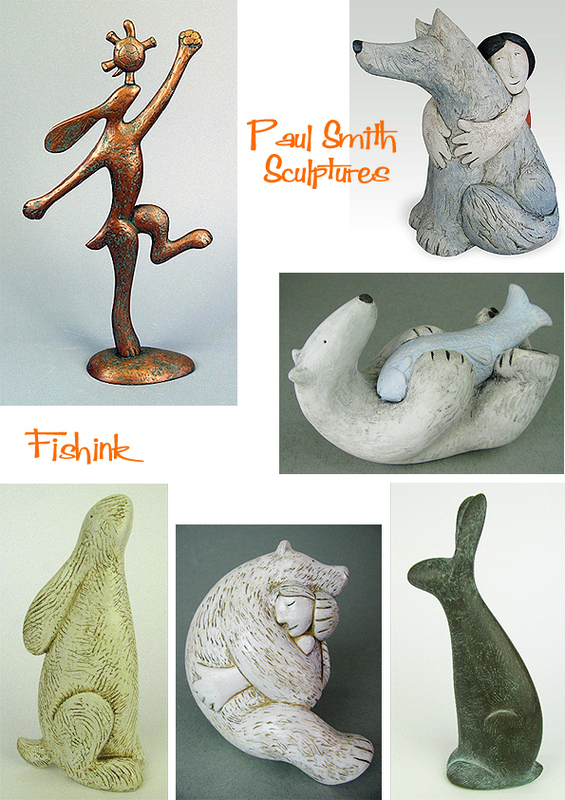 I’m not familiar with Inuit artwork but anything that is good to look at and tactile is good with me! I have thunked it before and covered this lady’s beautiful work. https://fishinkblog.wordpress.com/2011/04/08/kenojuak-ashevak-inuit-artist/ Maybe one for the future when I have the time to digest and research a little more.